Just check out that festive red packaging! Doesn't it get you in the holiday mood? 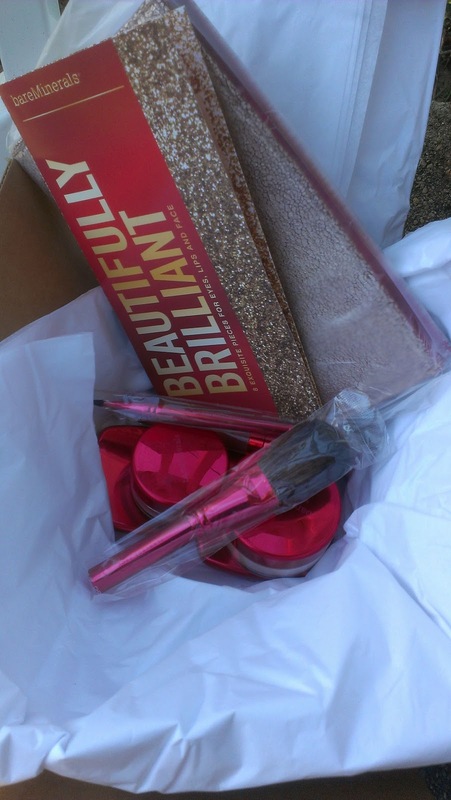 The kit comes with 8 pieces: Perfect Light Mineral Veil Finishing Powder; Ready Eyeshadow 4.0 in The Possibilities; Ready Liner Shadow Duo in The Horizon Line; Perfect Rose Blush; Marvelous Moxie Lipgloss in Shining Star; Flawless Application Brush; Double-Ended Defined Line & Crease Brush; and a gold clutch. The kit costs $49.98 (+$6.22 s/h) - but think about that for a moment. If you bought one of the Ready quads on its own, you'd pay $30 and while I don't think the Liner Shadow Duos are available on their own yet, a regular Ready eyeshadow duo costs $20. So for the cost of just those two items, you can get another three makeup items, two brushes and a clutch. That's a seriously good deal. Especially since the products and colors in this kit are fabulous. Well, that's what my first impressions seem to suggest. The Perfect Light Mineral Veil Finishing Powder is a new product that claims to have a color-adjusting formula that adjusts to UV light to soften the look of fine lines, discolorations and other imperfections. 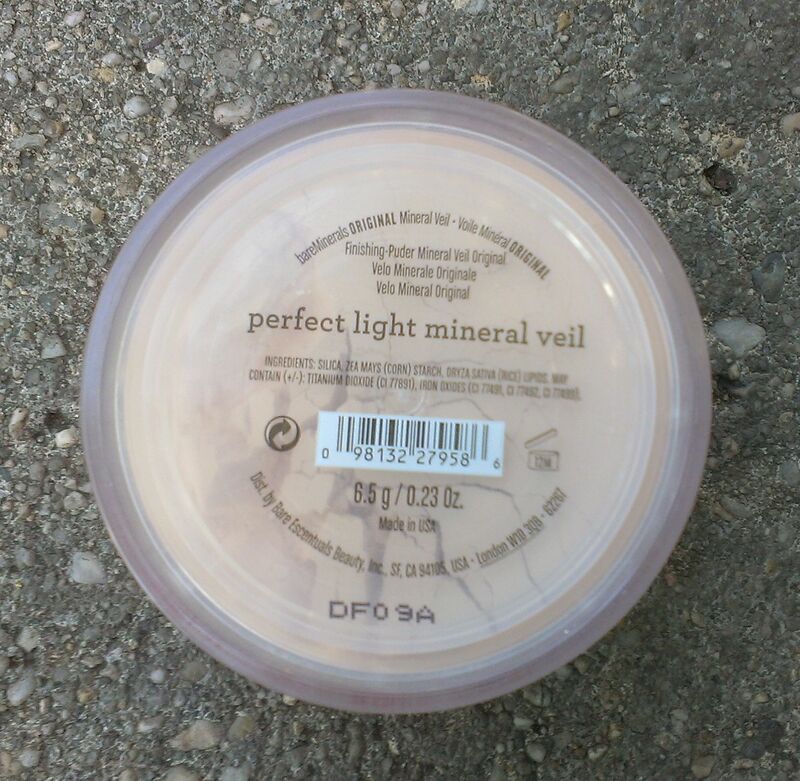 I haven't had a chance to try this yet so I have no idea if it lives up to those pretty lofty claims (I'm skeptical), but I like the regular old Mineral Veil as a finishing powder so if it performs as well as that, I'll be a happy camper. 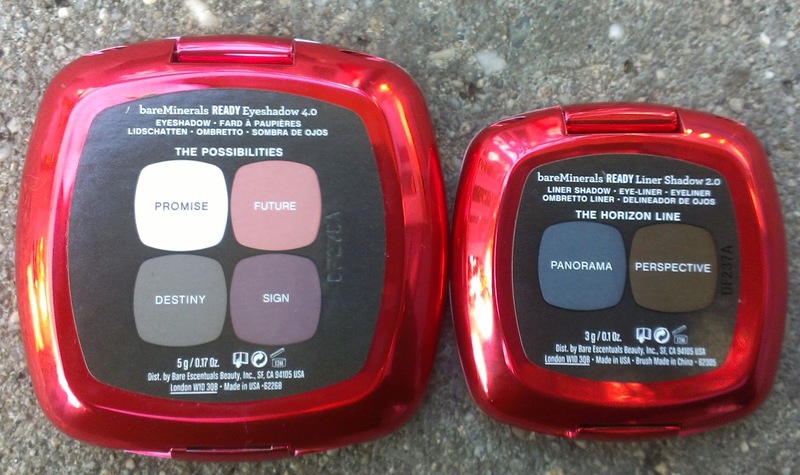 The Ready Eyeshadow 4.0 in The Possibilities contains Promise, a creamy matte beige; Future, a shimmery sunset pink; Destiny, a warm matte gray; and Sign, a shimmery purple gray. The Ready Liner Shadow Duo in The Horizon Line contains Panorama, a rich charcoal; and Perspective, a deep espresso. Now, the shadows in the quad are absolutely stunning - I particularly love Future, Destiny and Sign - but I know what you're probably thinking - they're all a little too light. 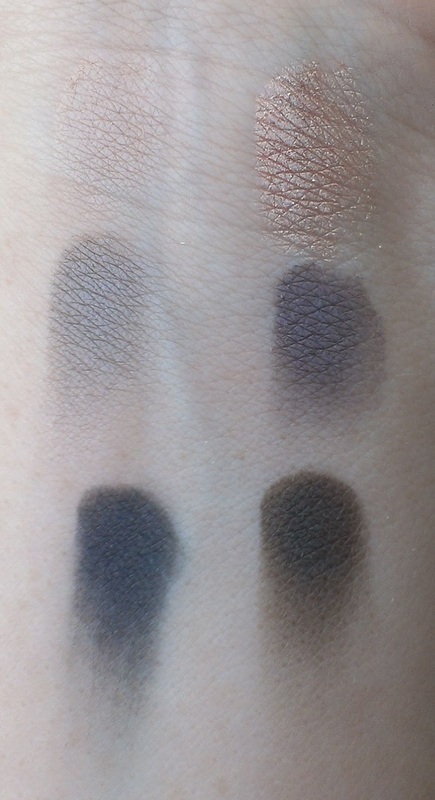 I think Destiny and Sign are both deep enough to add plenty of definition to the crease, but if you have darker skin, you can also work the two shades from Liner Shadow Duo into the crease or outer V. While they're billed as liner shadows (I'm pretty excited about the thought of an entire line of these since I tend to use shadow as liner a lot), they're just like BE's loose liner shadows in that you can use them any way that you want. I think that there are a lot of possibilities (no pun intended) for interesting looks with these 6 shadows. 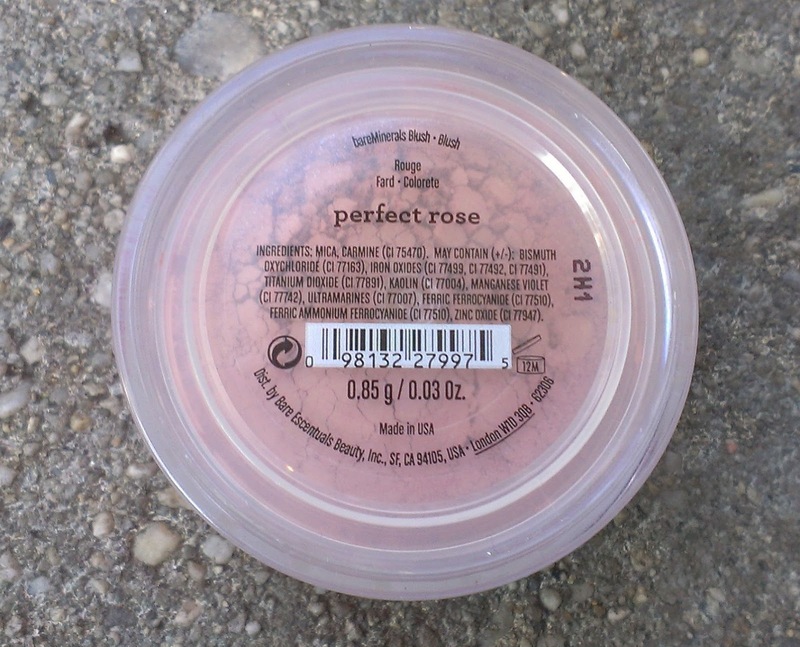 The Perfect Rose Blush is one of BE's traditional loose blushes. Despite its name, BE describes Perfect Rose as a peachy pink shade. 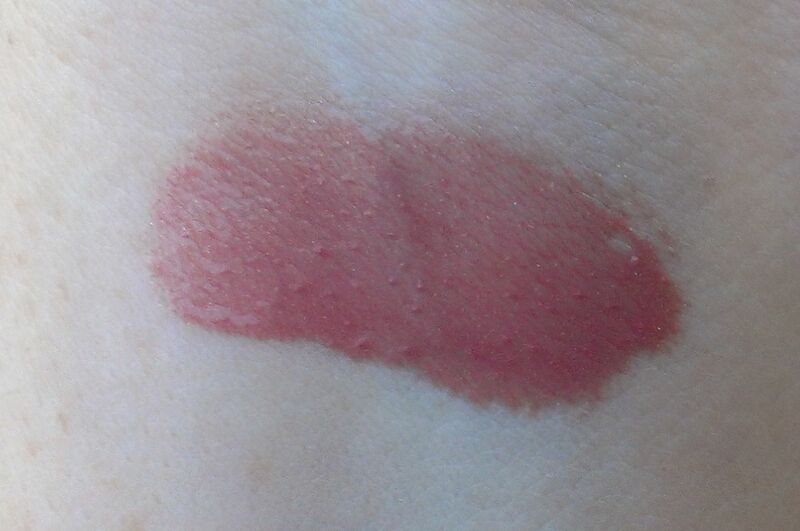 It definitely has warm undertones, but I don't know that I really see the peach. 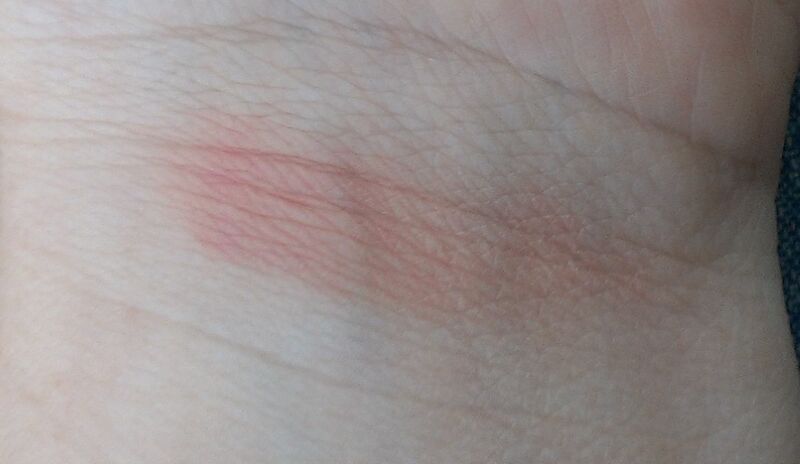 It's a lovely shade regardless. 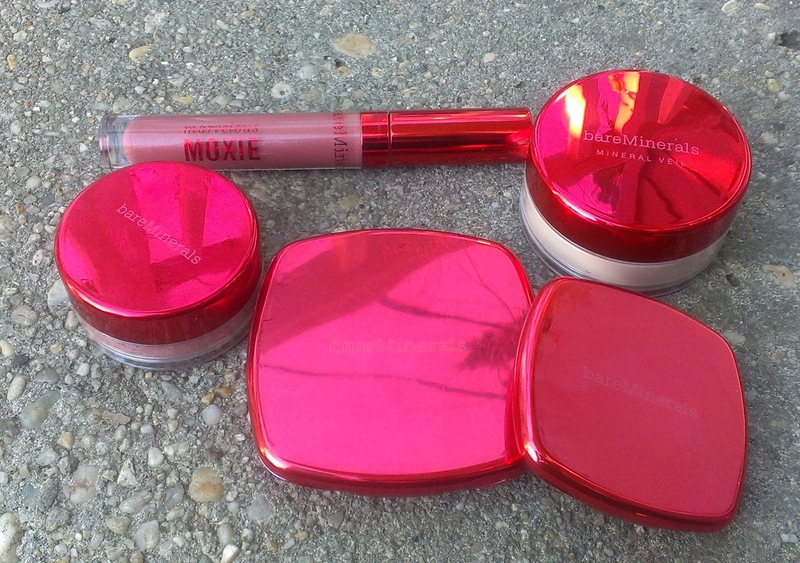 The Marvelous Moxie Lipgloss in Shining Star is a shimmery gloss that has a cooling effect on the lips. I really like the formula of these glosses. 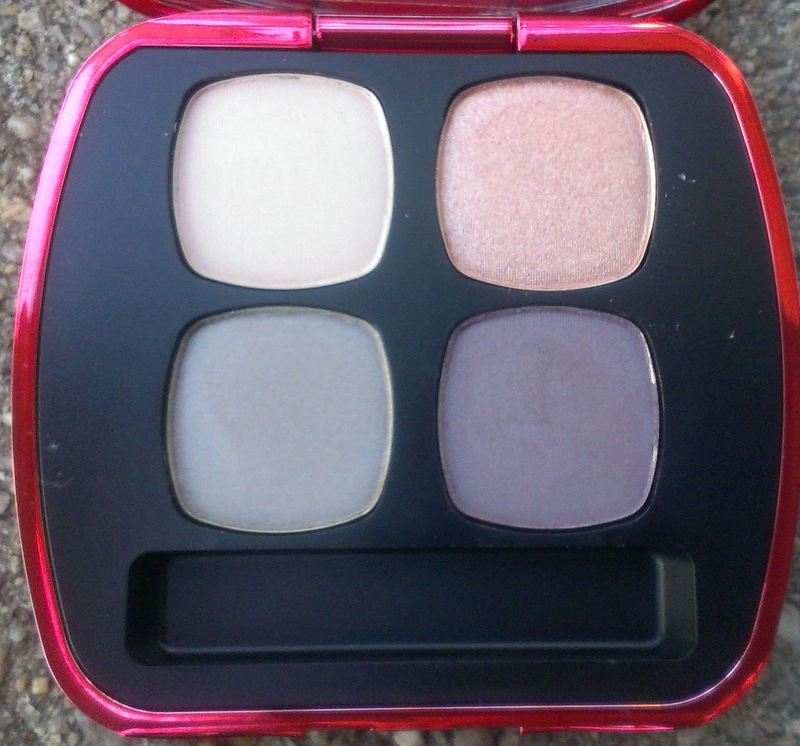 BE describes Shining Star as a dusty rose shade. I think that's pretty accurate. It has also really pretty, subtle gold shimmer too. The brushes included in the kit are Flawless Application Face Brush and Double-Ended Line & Crease Brush. 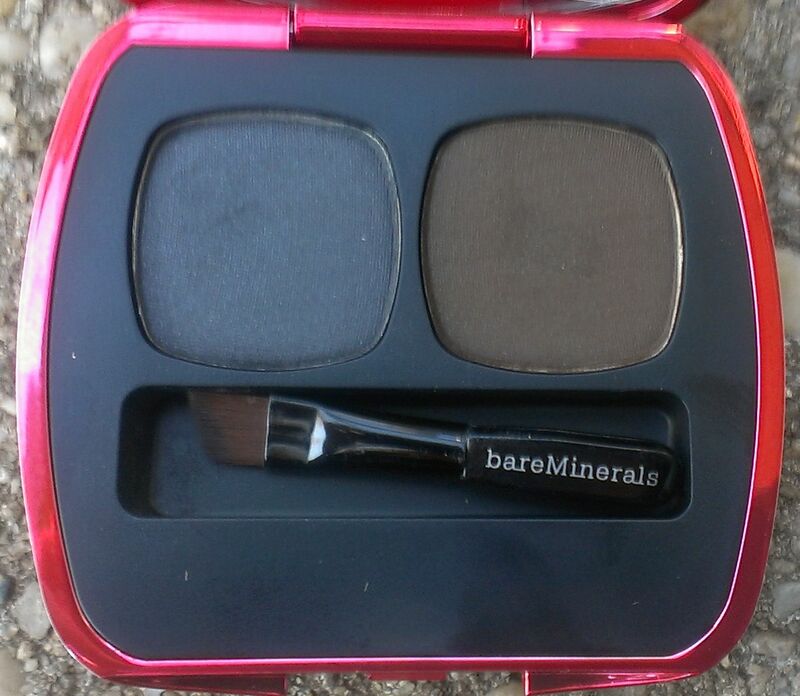 I already have a few Full Flawless Application Face Brushes, so this one will likely go in the giveaway pile. The Double-Ended Line & Crease Brush is interesting, though - one end has a traditional fluffy crease brush, while the other has a pointed silicone tip for lining the eyes. Not sure how that will work, but I think it'll be a good brush to add to my travel brush collection. Finally, the kit also comes with a gold clutch. It has a metallic finish and the design has almost a crackle-like effect, if that makes sense. The inside lining is red, and it features a magnetic closure. 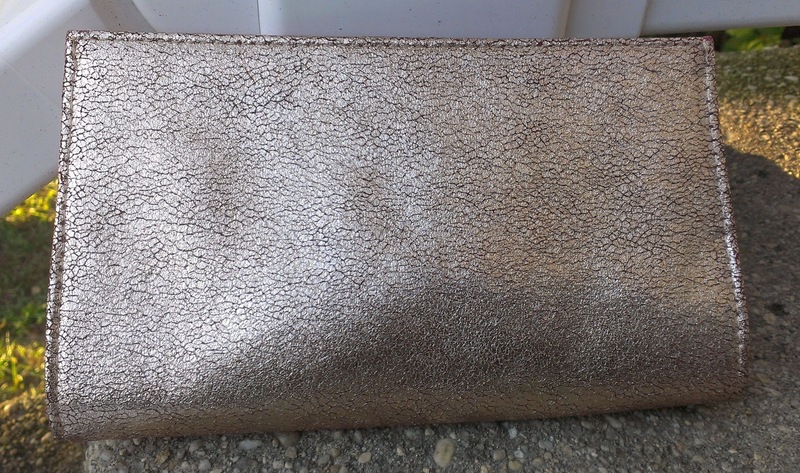 It's pretty small, but I think you could fit your cellphone, keys, ID and credit cards, and a lipstick or gloss without much trouble for a night out. All in all, I think this is a fabulous kit at a great value. Of course, I signed up for auto-delivery (if you've never ordered a TSV before, I definitely recommend going on auto-delivery for future kits. You lock in the TSV price for future kits, but you can delay a shipment until you see the colors online, cancel individual shipments or cancel the entire TSV at any time, so there's really no reason not to do it) so I'll be getting future kits in April, July and October of next year. If you want additional information about purchasing the kit, feel free to send me an e-mail. Are you thinking of getting this kit? What products in the TSV interest you the most? Thanks for sharing! I'm on the fence about getting this, mostly because I've spent too much already, but like you mentioned, the value is excellent! $50 for all of that is an awesome deal.